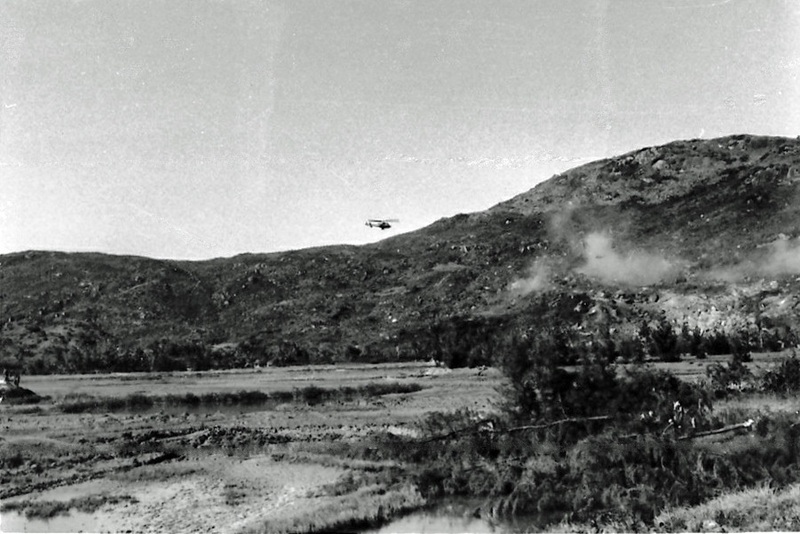 Charlie Company came under attack near the village of Xuân Binh in Binh Dinh Province. Jim Tilley, 34E-071 of the 3rd Platoon was killed in the action. This photo shows Charlie Company pulled back a safe distance while Cobra Gunships pound the site.